World Patent Marketing Reviews A Bath Invention. Will Got Your Back Be The Next World Patent Marketing Low Cost Success Story? Got Your Back is a bath supply invention that will make it easier to wash one’s back. The Bathing industry is worth $15 billion," says Scott Cooper, CEO and Creative Director of World Patent Marketing, "Got Your Back is a useful bathing invention that is likely to have success with many people. 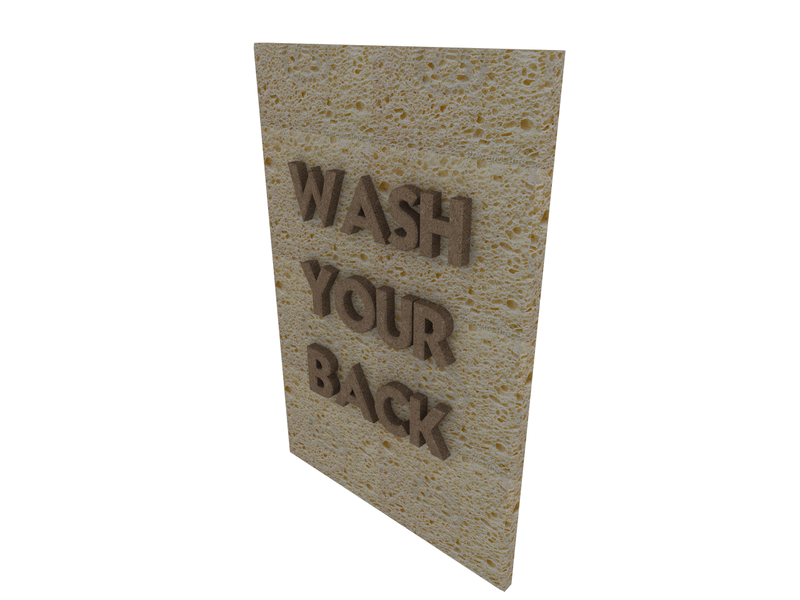 World Patent Marketing, a vertically integrated manufacturer and engineer of patented products, announces Got Your Back, the new simple, back-cleaning bath invention designed for showers. "The Bathing industry is worth $15 billion," says Scott Cooper, CEO and Creative Director of World Patent Marketing, "Got Your Back is a useful bathing invention that is likely to have success with many people." Got Your Back is a bathing invention that simplifies the bathing experience. It grips onto the wall using suction cups and stays in place. It is not a brush but is similar to a rubber mat with bristles that can be used for scrubbing. Simply hang it up and move your back side to side and it washes for you. The entire product is made of rubber to feel soft and comfortable to provide a nice, relaxing massage as it washes. "Got Your Back installs quickly in your shower to provide you with the ease and comfort of cleaning your back with a gentle soothing massage in a style that is appealing and matches your favorite decor," says inventor Harold B. It grips onto the wall using suction cups and stays in place. It is not a brush but is similar to a rubber mat with bristles that can be used for scrubbing. The entire product is made of rubber to feel soft and comfortable to provide a nice, relaxing massage as it washes.